The developer community is getting closer and closer to a stable Android port for the HP TouchPad. In a video uploaded recently, Redmond Pie has learned that CyanogenMod 7 for the HP TouchPad has got multitouch working, GPU acceleration has been enabled and the popular custom ROM just looks better on the TouchPad thanks to “proper pixel formatting”. Before we dive down into the real meat of today’s news, I would first like to inform our dear readers that things are getting rather hot in the Android/TouchPad developer community. 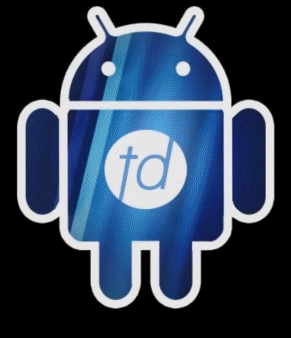 There are actually two separate teams working on bringing an Android port to the TouchPad: Team TouchDroid and the CyanogenMod Team. In a chatlog we discovered today, it was found that Team TouchDroid actually ”stole” the code for multitouch support from the CM team and claimed it as if they were responsible for bringing multitouch on HP TouchPad first. This is really all because of the fact that there is a heavy $2000 reward for whichever team releases a stable Android port for HP TouchPad. Moving on to the actual news: it comes from popular Android development forums RootzWiki – which is the home of the TouchDroid project. In a video uploaded by greentheonly (part of the CyanogenMod team), one can see things works smoother than before. What is working as of now? We are currently building the kernel and CM7 from source and able to boot on the Touchpad. ADB and USB Android gadget is working. We are also able to boot CM7 from LVM which will allow us to easily dual boot WebOS and Android in the future. Wifi does not work. Most devices secondary to the SoC(CPU, GPU, etc) have not been tested yet. The developer demoes the latest build of CM7 for TouchPad by showing the homescreen/apps drawer, multitouch support by using pinch-to-zoom gesture in the web browser and showcases an overall more polished UI thanks to GPU acceleration (meaning the CPU alone doesn’t do all the heavy lifting for pushing pixels, drawing animations etc. on screen).